Ernie is the Managing Member of QTS Capital Management, LLC., a commodity pool operator and trading advisor. Ernie has worked for various investment banks (Morgan Stanley, Credit Suisse, Maple) and hedge funds (Mapleridge, Millennium Partners) since 1997. He received his Ph.D. in physics from Cornell University and was a member of IBM's Human Language Technologies group before joining the financial industry. He is the author of "Quantitative Trading: How to Build Your Own Algorithmic Trading Business" and "Algorithmic Trading: Winning Strategies and Their Rationale". Ernie writes the Quantitative Trading blog and was quoted by the New York Times, Forbes, and the CIO magazine, and interviewed on CNBC’s Closing Bell program and by Bloomberg Businessweek, Technical Analysis of Stocks and Commodities magazine, Securities Industry News, Automated Trader magazine, and the CFA Institute Magazine. 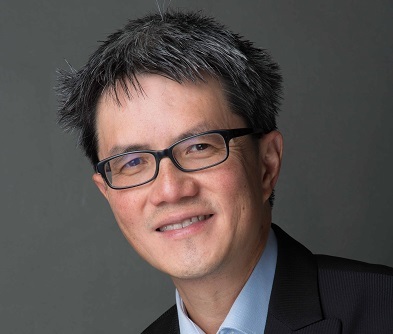 He was an Adjunct Associate Professor of Finance at Nanyang Technological University in Singapore, and an Industry Fellow of the NTU-SGX Centre for Financial Education, which is jointly set up by NTU and the Singapore Exchange. He also teaches Risk Analytics at Northwestern University’s Master of Science in Predictive Analytics program and supervises student theses there.